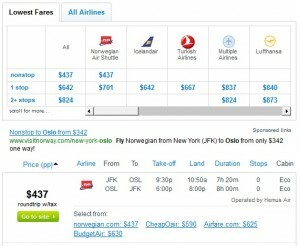 Cheap flights to Europe are extremely hard to come by these days. With low season (winter) on the horizon for Europe, airlines have started to lower fares. 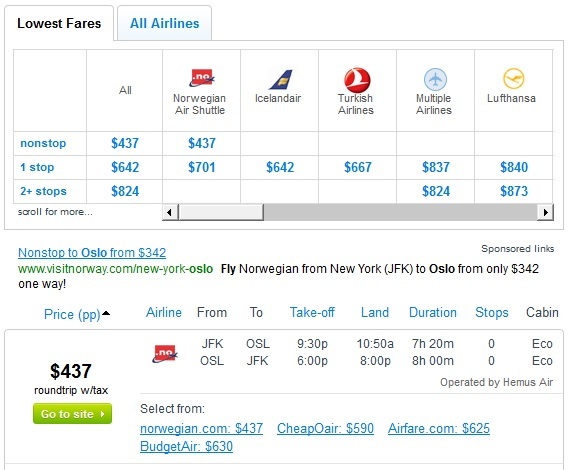 It’s worth braving the cold in Oslo and Stockholm to take advantage of these incredible nonstop deals at just $449-$489 roundtrip including taxes. 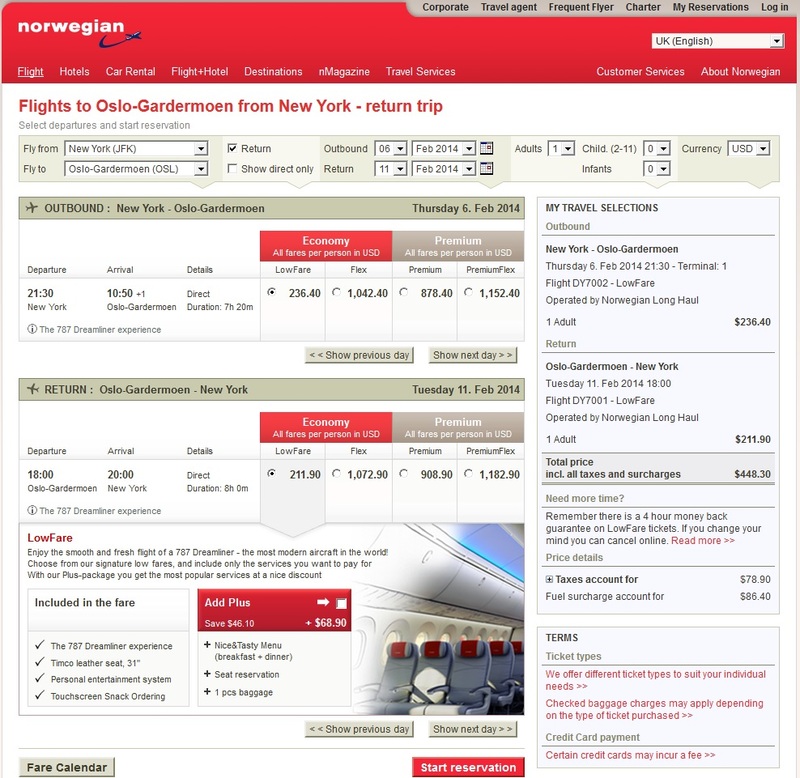 Fares are available on Norwegian Air Shuttle, rated 3-stars on Skytrax (the same as American Airlines, Delta or United to give you an idea of the quality). All flights are nonstop on new Boeing 787 Dreamliners. One thing to be aware of, seat assignments are given at the airport when you check-in. This deal cuts $400 off the regular cost and is available for travel select dates Jan. 16 – March 25. NOTE: Calendar and search results will display pricing as $12-$13 lower than at time of booking. Read about my trip to Stockholm to find out some of the best attractions. Don’t miss the Vassa Museum!